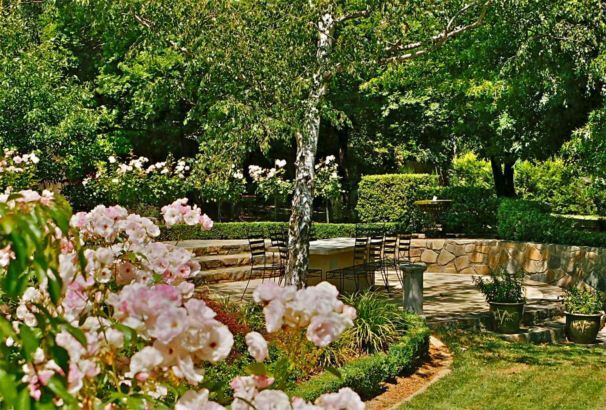 This very large block featured many established trees. 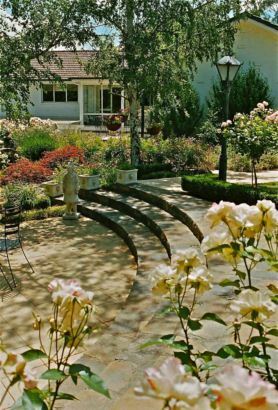 Paths & level paved terraces wind through deep garden beds. 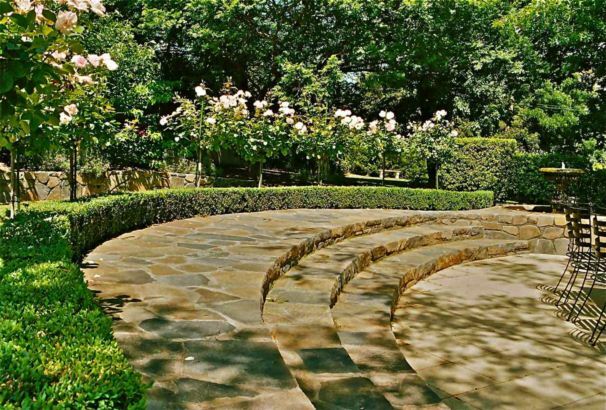 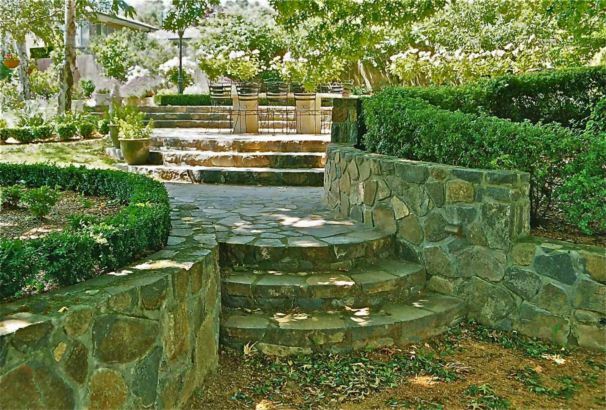 The Murrubateman bluerock walls and broad sweeping steps by Tony Sep, flow between established plantings. 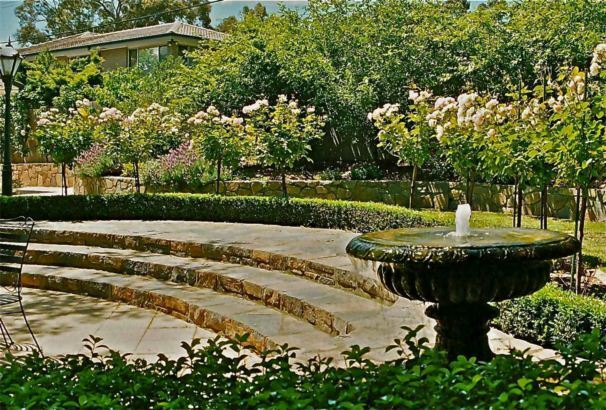 The extensive landscaping front & Back was by Peter Morton.